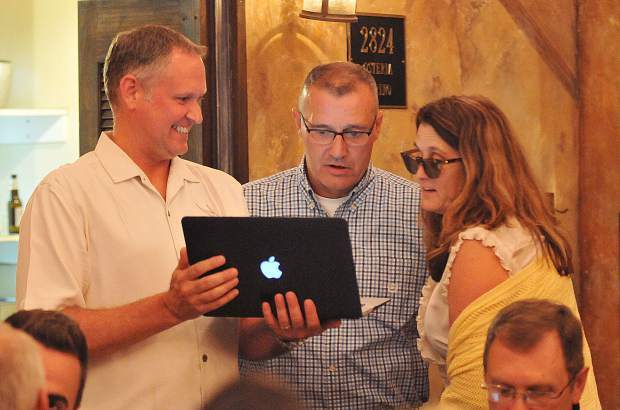 Nevada County candidate for Sheriff Bill Smethers (center) is shown the first set of election results released from the Nevada County elections office, which put him just behind Shannan Moon. 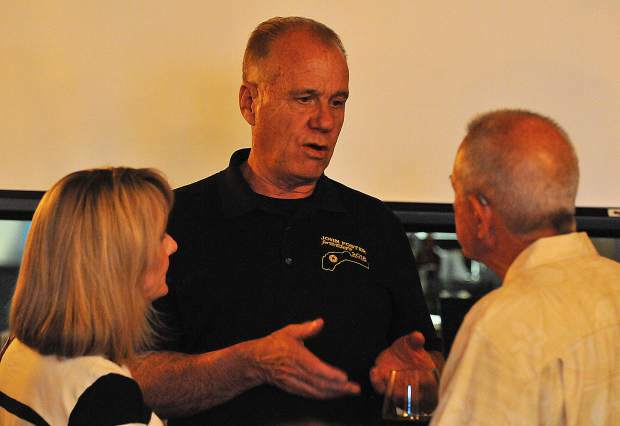 2018 candidate for Nevada County Sheriff and retired Grass Valley Police Chief John Foster speaks with his supporters Tuesday evening at the Golden Era lounge in Nevada City. 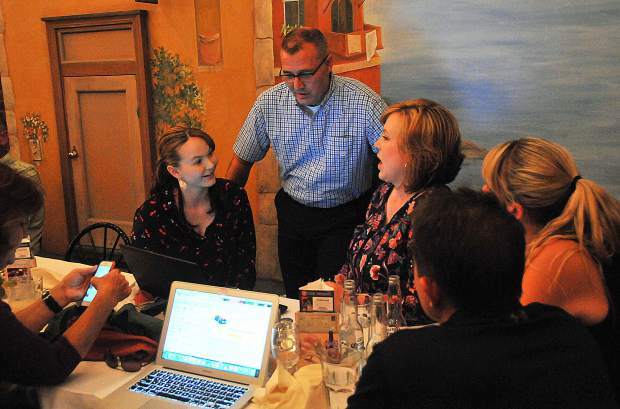 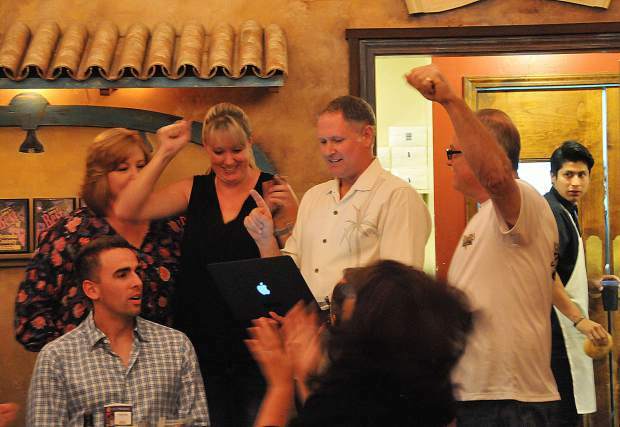 Supporters at Bill Smethers for Sheriff's campaign party at Cirino's cheer as the first election results show up online. 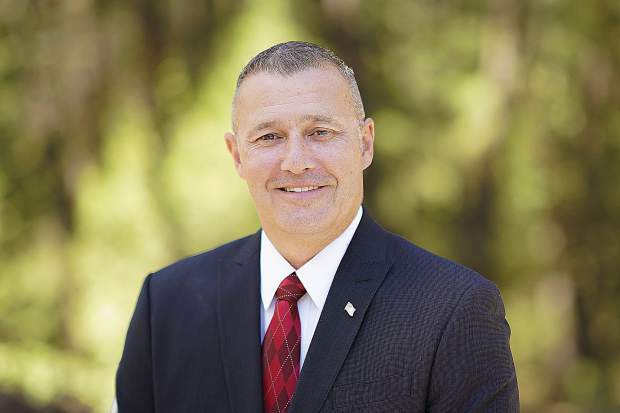 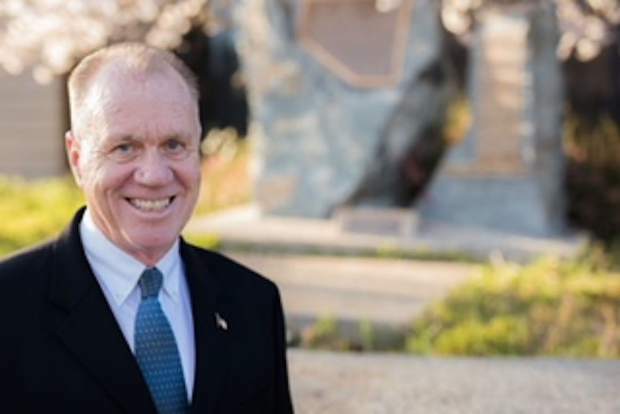 Nevada County candidate for Sheriff Bill Smethers stands between his daughter and wife as the group awaits more results in the June 5 primary elections.